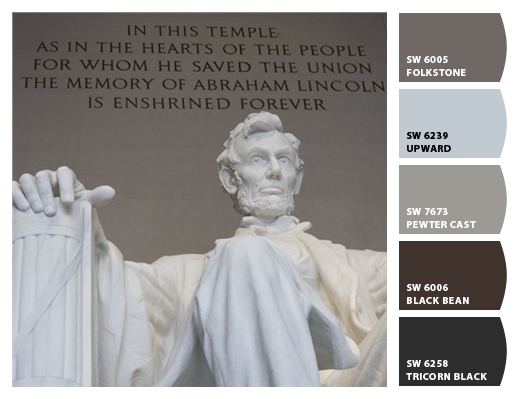 What's more inspiring than the Lincoln Memorial? The resolute face of our 16th president; his moving, powerful words carved in stone; views back over the reflecting pool to the Washington Monument and the Capitol beyond. The shades of stone create a serene palate. This one's a toss-up. 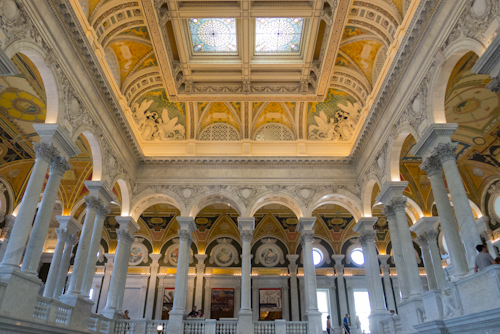 The lobby of the Library of Congress is hard to beat: the neoclassical lines and colorful mosaics and frescoes create a gasp-worthy interior, with interesting details everywhere you look. 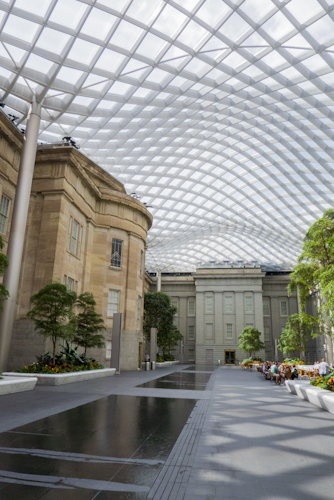 On the other hand, I could easily spend the day in the courtyard of the former US Patent Office, today home of the Smithsonian American Art Museum and the National Portrait Gallery. The thoughtful landscaping, subtle water features, and spectacular Foster + Partners glass atrium create a quiet space to work, chat or just relax. 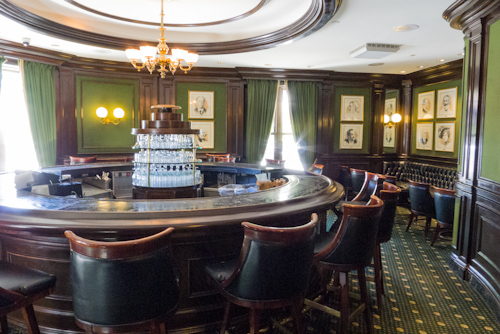 The gorgeous Round Robin Bar at the Willard InterContinental instantly makes me think of drinking mint juleps (supposedly invented here) while lobbying mustachioed politicians. Bottoms up!